This chant, used to entice opposing hitters to swing at bad pitches, makes perfect sense in the context of the game. It’s good for your team when the opposition’s batter swings at a poor pitch. Laying off a bad pitch is basic baseball dogma; a dictate that flows from the time honored history of the game. Sadly it is ignored for the first half of the Carrollton Little League Modified Kid Pitch season. The league’s rules say the first four pitches will come from the opposing team’s pitcher. The next two pitches will come from the batter’s coach. The umpire calls strikes on all pitches. If the batter has not struck out or put a ball in play after six pitches, the batter is out. There are no walks. This is an inane set of rules that encourage bad performance. They also tend to discombobulate the eight-year-olds upon whom they are applied. A better set of rules would be for the batter to remain at bat until he/she strikes out or puts the ball in play. Pitch count should be inconsequential. Under the current rules, fans, teammates, and coaches applaud the batter for not swinging at bad pitches that are among the first four. 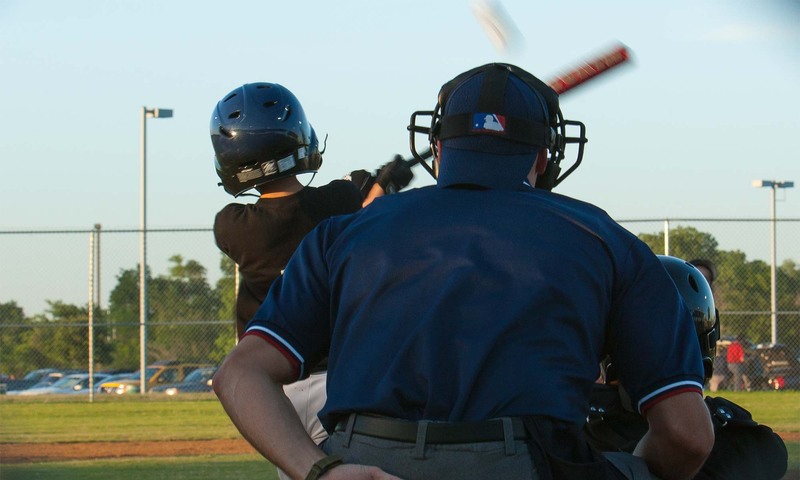 “Good eye, good eye,” is a common call from the stands and dugout. Fortunately the rules change in mid-season. At such time coaches will not make any pitches. The batter will be called out on strikes and awarded a base on balls. Still, it is a reckless blunder to invoke a rule system that, for half a season, encourages both bad performance and support of bad performance. That’s what chants from the opposition are for.